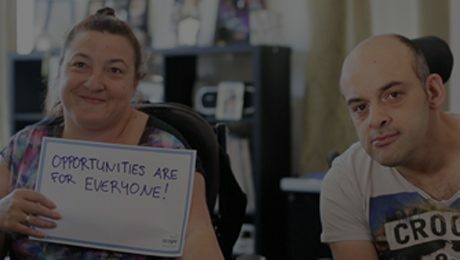 The NDIS provides people with a disability greater choice and control to achieve their goals and aspirations. More choice around the supports received. Increased control and flexibility around how and when those supports are provided. A lifetime approach to the delivery of disability support services, and a support plan that changes to reflect changes in personal circumstances over time. Watch the video and discover three stories from four very different people– each of them “making it happen” in their lives. Ben completes a 10km marathon, Kim and Vinny tie the knot and Zane advocates on behalf of people with a disability.